The Cleanup Crew is an Independent Hip Hop Radio Show/Podcast from Phoenix, Arizona. Hosted by Nick Norris (and special guests), we bring you only the finest hip hop. Three Man Weave is a sports show hosted by Unorthodocks, Solute, & Kruse. 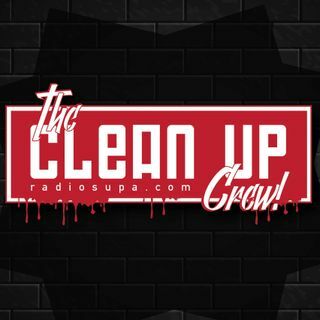 The Cleanup Crew is an Independent Hip Hop Radio Show/Podcast from Phoenix, Arizona. Hosted by Nick Norris (and special guests), we bring you only the finest hip hop and commentary.